In this course our mechanics help students perform a complete overhaul on their own bike. 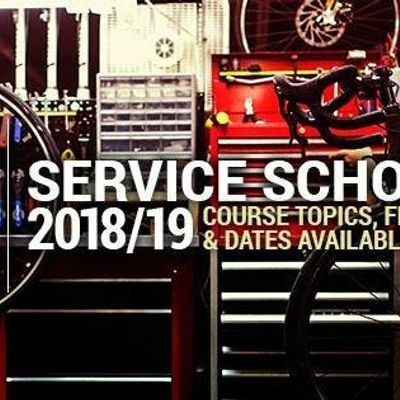 The course will cover the removal and re-installation of all parts on the bike as well as the overhaul of loose or sealed bearing hubs, bottom brackets and headsets. This is a great opportunity for individuals already considering a complete overhaul, or who want to learn more about the functions of their bike. ** Please Note ** For this course we require participants drop their bikes off a minimum of 2 weeks before the course so we can assess the condition of the bike and order any necessary parts. This course is taught over two days during the weekend and requires a minimum of two participants and maximum of four we reserve the right to cancel with 48 hours notice if the minimum is not met and refuse bikes based on condition. *Please note this does not include brake bleeding or suspension overhauls. Price includes a copy of the Park Tools Big Blue Book of Bicycle Repair – 3rd Edition.